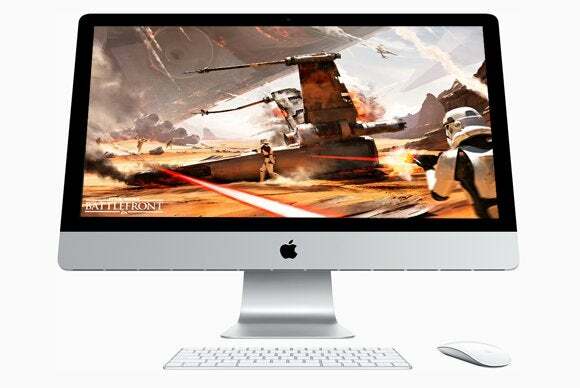 Dear game developers: Our Macs are yearning for your games. With the rise of platforms like Steam and Origin, as well as Apple’s own App Store, it’s never been easier to play some of your favorite games on the Mac. But even with these digital distribution venues, Mac gamers still find themselves staring with jealousy at their PC cousins. Here are the top ten games we’d like to see ported to the Mac. Garnering numerous game-of-the-year awards, The Witcher 3 is an exceptionally deep action-RPG from CD Projekt. This latest installment in the series finds protagonist Geralt of Rivia seeking to find his lost protege Ciri before the ghostly Wild Hunt does. While the last two installments of the series have been arguably just as popular on console platforms, the original Witcher was both a PC and Mac game. 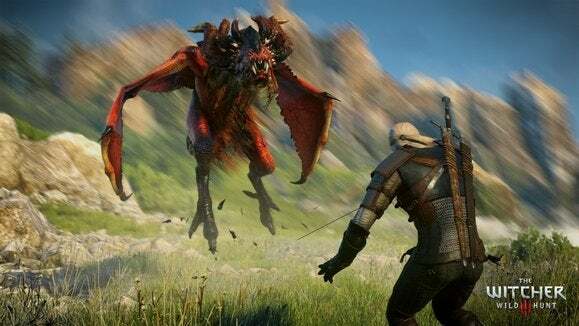 It’s about time The Witcher 3 returns to its mouse and keyboard roots. What’s not to love about life in the post-nuclear apocalypse? The Fallout series is known for its 1950s-inspired vision of a not-too-distant future overrun with radioactivity, mutants, and warring tribes. 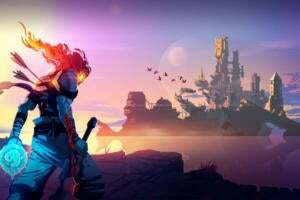 The series has evolved into more of an action RPG, but has retained its tongue-in-cheek approach to the American wasteland. Unfortunately, the Fallout series has been extinct on the Mac OS since Fallout 2. 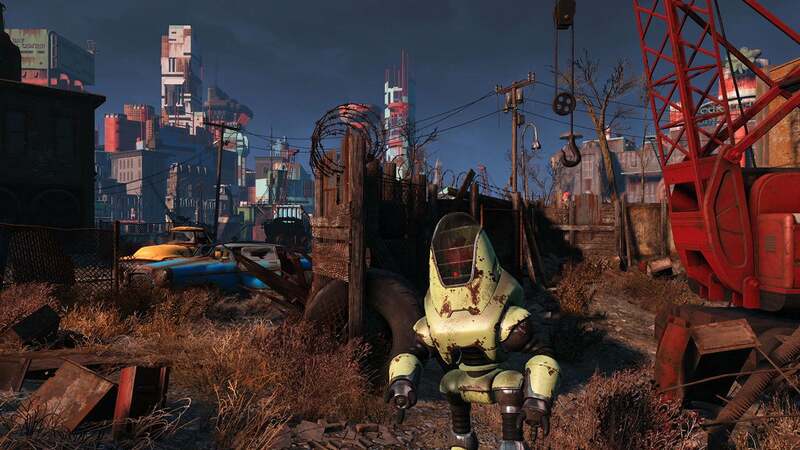 Here’s hoping we can get this Fallout 4 out of the vault soon. 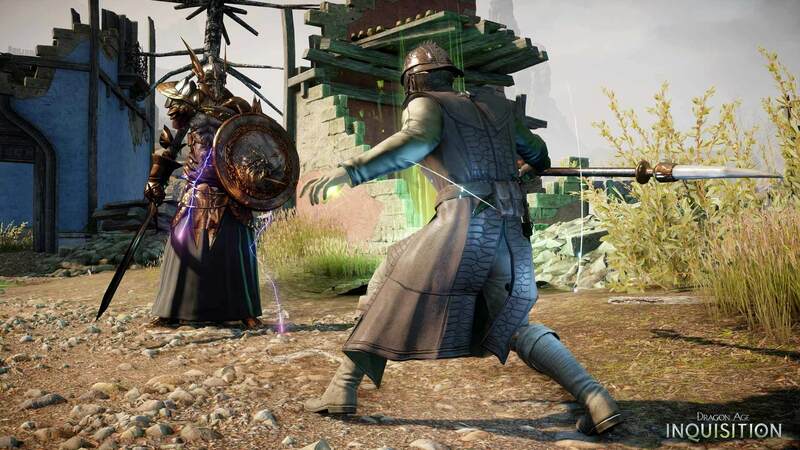 Epic in scale and another game-of-the-year winner, Dragon Age: Inquisition is the third (and arguably best) installment of the Bioware series. 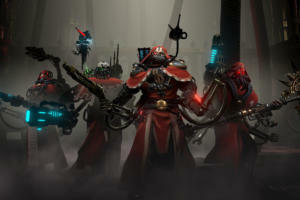 While the first two were ported to the Mac, Inquisition remains noticeably absent. This epic high fantasy RPG opens with a literal hole in the sky and the player protagonist with a mysterious mark on their hand of unknown power. Adventurers, both new and old to the series, help aid the protagonist as they try to solve the mystery and yep, save the world. Far Cry: Primal will be released to the PC on March 1st, but there are currently no plans to release it on the OS X. 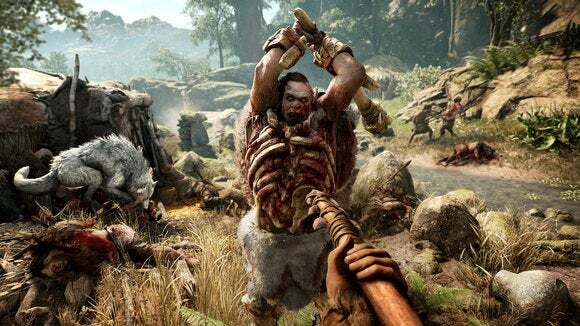 While this stone age-centered game sounds like an ambitious new direction, many Mac fans would be fine with any Far Cry title being officially released to the Mac. 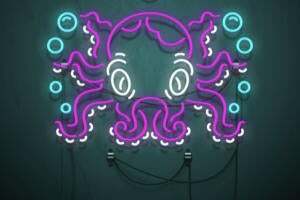 Personally, I’m partial to Far Cry 3: Blood Dragon which features an “1980s UHS version of the future” with lasers, cybernetic soldiers and a whole lot of neon. 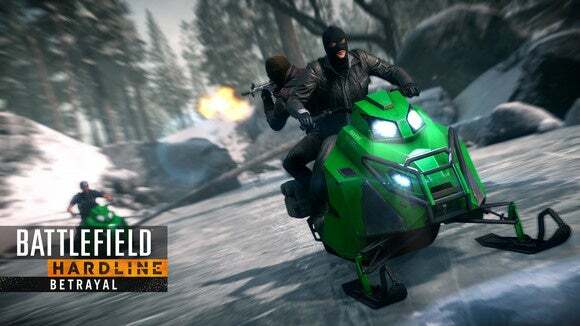 But any of the unabashedly violent, darkly funny open-world shooters would be a huge get for Mac gaming fans. 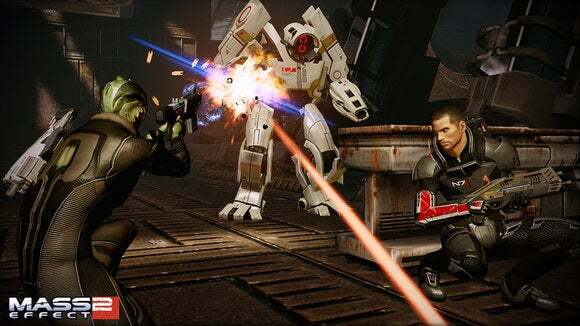 Arguably one of the greatest science fiction games of all time, Mass Effect 2 is essentially The Dirty Dozen set in space. It gets the nod over the other two games in the series because of its particularly sharp writing and memorable collection of alien characters. Like many Bioware titles, the player protagonist can develop a distinctive personality based on the many choices they make. Whether Commander Shepard is an angelic savior of the galaxy or a renegade for life is up to you. We haven’t had a Grand Theft Auto game on the Mac since GTA: San Andreas. That’s a crime. The Grand Theft Auto series prides itself on great writing, an absurdist sense of humor, and open-world mayhem. But GTA V also corrects the major knock on the series: the combat system. Finally, GTA V feels like a modern shooter, and the three protagonists provide a welcome variety in the series. Its improved multiplayer made this GTA installment particularly enduring. Maybe it’s time for Mac users to be let in on the fun. After Corvo Attano is framed for the murder of the Empress, he becomes an infamous assassin set upon revenge. 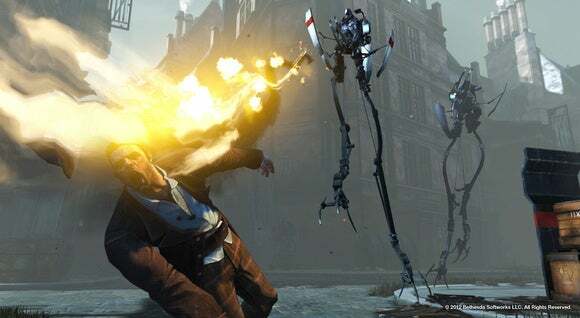 Dishonored’s world features a bizarre mix of steampunk and magic, offering one of the most original dystopias since Bioshock. The array of weapons and abilities allows for a high degree of replayability. 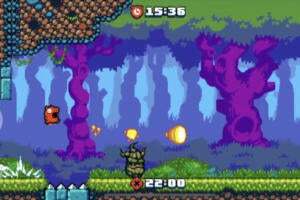 You can choose to be the knife in the shadows or use a variety of traps to take your enemies in more spectacular fashion. Additionally, the game offers one of the best voice acting casts in recent memory. It seems unfair that one of the most graphically impressive games in years is not available to play on a nice large iMac screen. 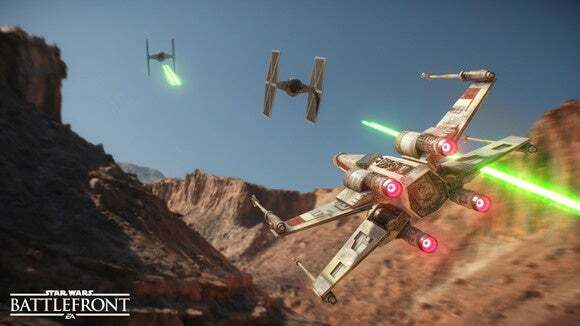 Star Wars: Battlefront is a refresh/reboot of the iconic Star Wars combat game. Battle stormtroopers, pilot an X-wing over Hoth and even play as Darth Vader; in short, Battlefront lets Star Wars fans nerd out in an entirely new and fun way. While EA is spending time gouging PC and console users with DLC map options and Season Passes, maybe their time would be better spent porting a more complete game to the Mac. Hey, this padawan can dream. You’ve likely seen the videos online: slay dragons, level up your punching skills so you can take out vampires with a single blow, steal everything that isn’t nailed down. 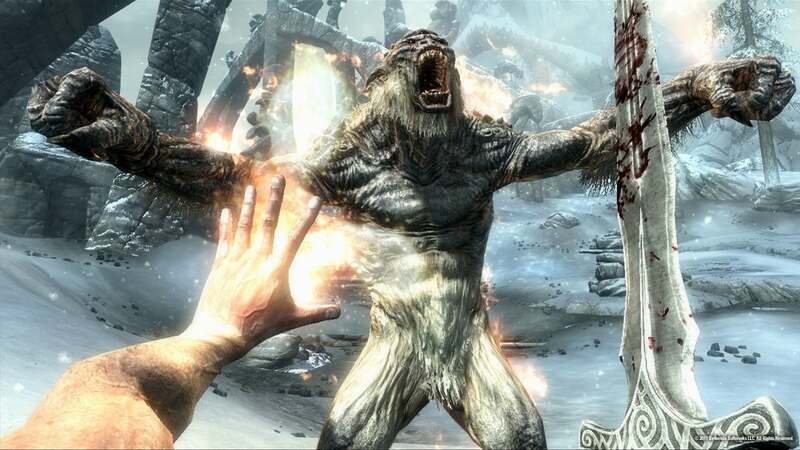 The Elder Scrolls V: Skyrim is yes, another open-world fantasy game. It just happens to allow for more flexibility in its playing than most. 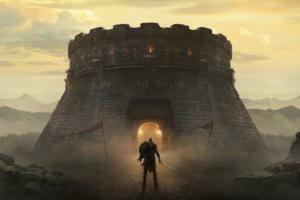 You can focus your skill points in creative ways, kill NPCs, and discover many different ways to play the game. There’s a reason why PC users have flocked to modding the game: it’s such a fun and flexible world that you can create all kinds of bizarre monsters and they wouldn’t seem too out of place. Any Metal Gear game is a bit of a surprise on this list: while some of the games have appeared on the PC, through its history it has been a console-exclusive title at times. 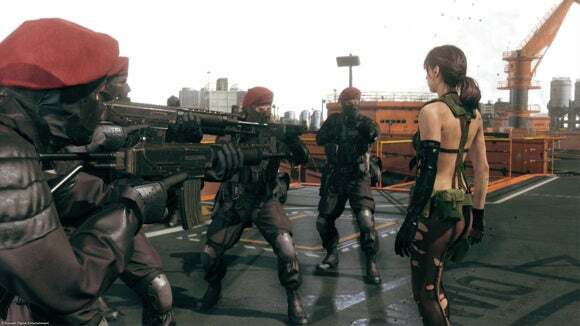 But Metal Gear Solid V: The Phantom Pain was released on the PC in 2015, suggesting that future installments (if there are any) will be on the platform as well. The open-world stealth/espionage game chronicles the rise of Big Boss during the Soviet-Afghan war and his quest for revenge. During your missions, you’ll be aided by a trained attack dog, a supernatural sniper, old rivals and fresh villains. Director Hideo Kojima’s latest tale of spies and war may be his best yet. But for now, Mac fans will have to wait on the sidelines while it plays out. Activision’s Call of Duty series used to make regular appearances on the Mac. But not since Black Ops (ported to the Mac in 2012) and Modern Warfare III (in 2011) have we seen the likes of the Call of Duty series. Advanced Warfare, Black Ops’ sequels, and Ghosts haven’t made it over and as Activision churns out more sequels, it seems apparent that the Mac audience is no longer a priority for them. You have to go back to (ironically) Battlefield 2142 to find the last time a Battlefield game appeared on the Mac. But the series has really come into its own of late. Starting perhaps with the success of Battlefield 3, the hyper-realistic shooter series, powered by the latest iteration of the Frostbite engine, is one of the most popular franchises in gaming. If EA wanted to get an inside edge on rivals Activision, they’d do well to open their Battlefield series to the Mac community. 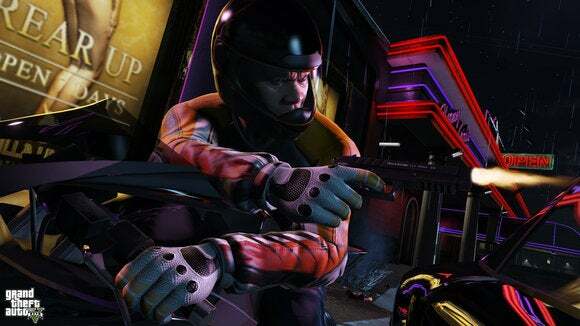 These are just some of the many PC games we wish we’d see ported to the Mac. What are yours? Discuss in the comments below.